Soon as you enter this beautiful condo you will want to move in right away. 2 bedroom, 3 bath with over 1,800 sq ft of living space! Open concept from the living room, kitchen and dining room. 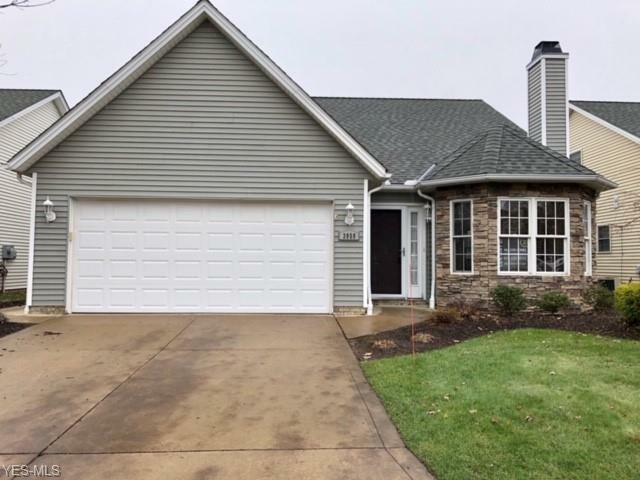 Extra large kitchen with loads of cabinets and counter space, a large island with bar stools, beautiful countertops, chef's pantry, and a large breakfast room with glass sliders to the patio overlooking the pond. The large master suite is located conveniently on the main floor and has his and her large closets as well as an in suite master bath. The large loft overlooks the beautiful large living room with gas fireplace for those cold winter nights. The additional bedroom also on the second floor as well as a bonus room over the garage which could easily be finished or continue to function for additional storage. Laundry room is conveniently located on the first floor. This home will surely capture your attention and wont last long. So set up your private showing today.